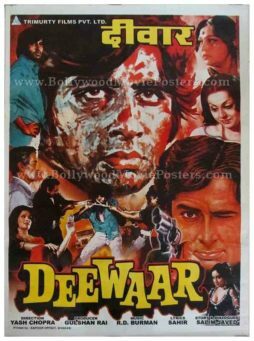 Old hand painted Bollywood movie poster of the hit Hindi biopic, Shaheed (1965) for sale. 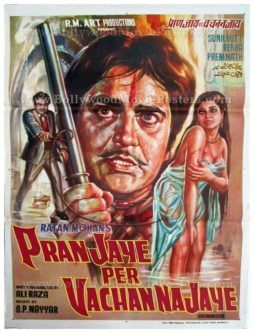 This is an actual surviving vintage Bollywood poster of the 1965 biographical Hindi film based on the life of Bhagat Singh, which featured actor Manoj Kumar in the lead role. 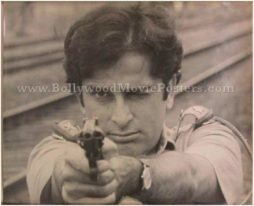 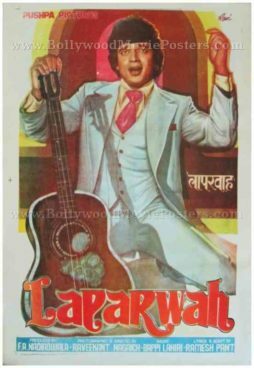 Shaheed is considered as one of the most prominent Indian patriotic movies ever made, making this poster highly collectible. 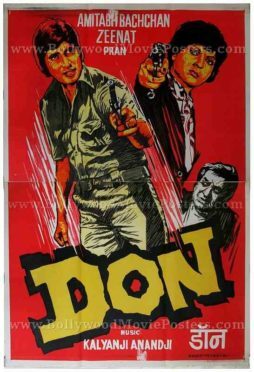 The film jump started Manoj Kumar’s Bollywood career and is responsible for earning him the moniker, “Bharat Kumar.” After the success of Shaheed, Manoj Kumar would go on to star in a series of patriotic films such as Upkar, Purab Aur Paschim and Kranti. 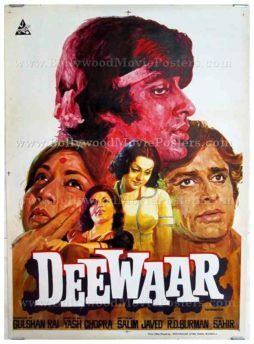 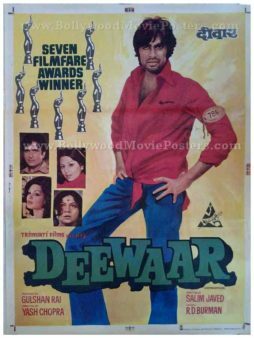 This old hand drawn Bollywood poster was printed and circulated during the re-release of the film in the early 1970s. 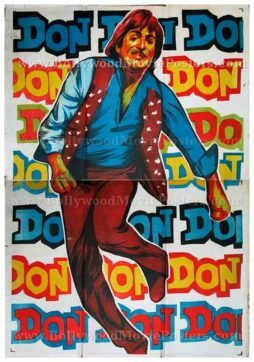 Originally designed for publicity of the film, this old hand painted Bollywood poster never ended up being used. 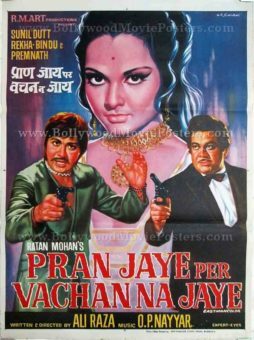 This beautiful vintage Bollywood poster has been graded as ★ As Is due to a small hole visible on the poster. 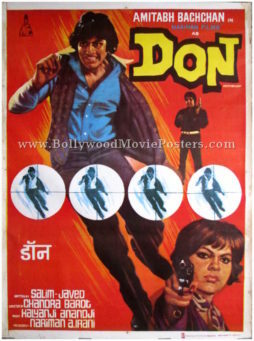 Please study the accompanying image of the poster carefully before placing an order. 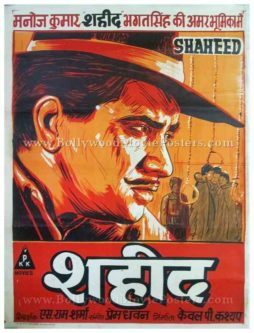 Shaheed is a 1965 Bollywood movie based on Bhagat Singh’s life. 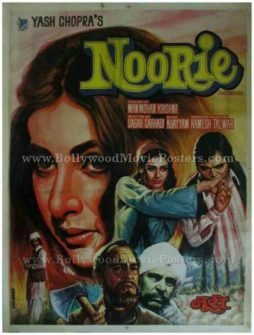 The film bagged numerous awards, chief among them being the National Film Award for Best Feature Film in Hindi, the Nargis Dutt Award for Best Feature Film on National Integration and the National Film Award for Best Screenplay.